The issue of Internet addiction is grabbing headlines, which is presenting businesses with a new set of challenges as people spend less time online. And when they do spend time online, 94% of consumers say they want an easy to navigate website. This is according to a new survey by Clutch which looked to identify the top website features people value most. And because they’re spending less time online, it only makes sense consumers want more efficiency. Small business owners with a digital presence, therefore, must create websites with a great user experience (UX) to ensure their audience stays engaged and they return. Kelsey McKeon, who wrote the report on Clutch said, people want to spend less time online. This requires companies to design websites which take into account the preference of their customers and what they find most useful. 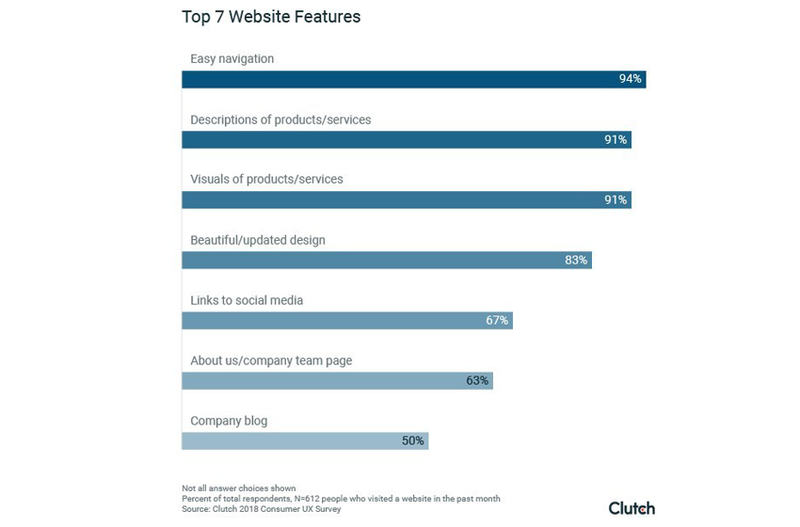 In order to find out just what consumers are looking for in a website, Clutch asked 612 people which website UX features are important to them and which they can live without. The respondents in the survey were from the US, made up of 63% female and 37% male ranging in age from 18 to 65+ years old. They did their browsing on Chrome (65%), Safari (18%), Firefox (5%), Internet Explorer (1%), and 10% used something else. When it comes to daily leisure time spent online, 33% said they spent one to three hours online. This was followed by another 30% who said four to six hours, 14% seven to nine hours, and 18% at more than 10 hours. It is important to remember this is just for leisure when you add in the time consumer spent online for work it quickly makes up a large percentage of the day. 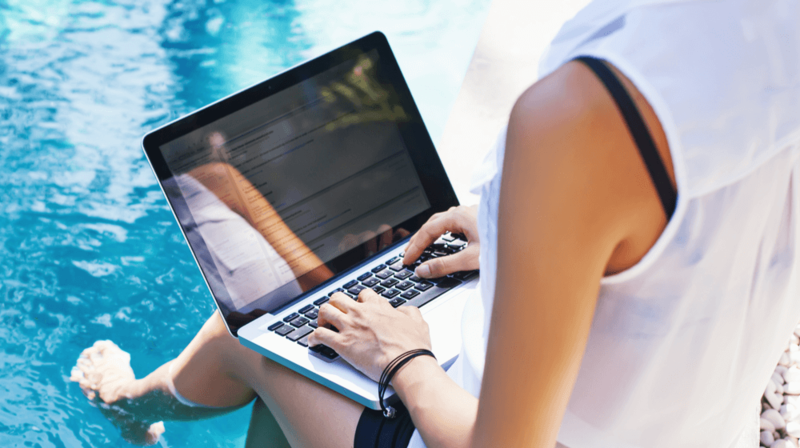 Whether it is for leisure or work, there is a clear consensus on what consumers want when they are online. For 94% of the respondents, easy navigation is the most useful website feature. A site which is easy to navigate allows users to find the content they’re looking for much faster. This means having a clear menu structure and the ability to navigate between pages quickly and efficiently. After faster navigation, 91% said they wanted better descriptions of products and services, followed by the same percentage of people who said they want to see visuals of products and services. Beautiful/update design was important for 83% of the respondents, with links to social media, the about us/company team page, and company blog getting 67, 63, and 50 percent of the responses respectively. The biggest takeaway from this survey is business should listen to their customers when it comes to designing their website.